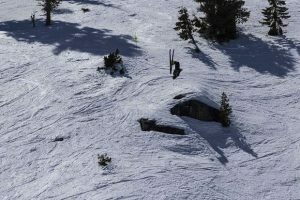 The Tahoe Junior Freeride Series concluded its four-part season on Sunday, March 25, at Sugar Bowl Ski Resort. Conditions couldn’t have been better for the final day of the Tahoe Junior Freeride Series Championships at Sugar Bowl Ski Resort as youngsters looked to carve powder, soar off ledges and impress the judges with enough style to win a championship. The competition started March 23 and marked the fourth stop on the tour, and also served as the final opportunity to accumulate points toward the overall championship. Sugar Bowl Ski Team and Academy’s Cooper Davis made the best of his home mountain advantage, ripping up The Nose at Sugar Bowl to claim first place in the boys’ 15- 18-year-old division with a score of 70.767. Competitors are scored on both of their two runs and are judged on line, control, technique, fluidity, and style and energy. Squaw Valley Big Mountain Team’s Evan Loring was second, followed by teammate Alan Tester. 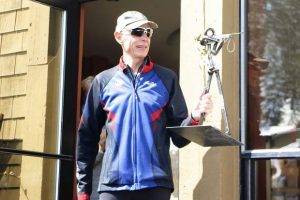 Davis also claimed the overall series title with 869 points, edging Alpine Big Mountain’s Westan Lubin and Josh Gold, who each finished with 835 points. Even in victory, Davis said the high points of the weekend and season have been watching his fellow competitors and friends compete. The community aspect of the sport separates it from other disciplines. Whether it be rooting athletes on from perched atop chilly, wind swept rocks near the summit of a resort or watching from the bottom of the course on a sunny day, dozens of parents and organizers flock to each event to support local skiers and snowboarders. 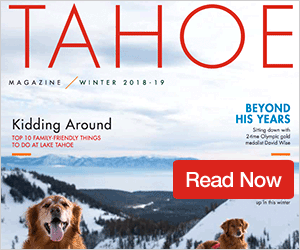 In the boys’ 12- 14-year-old division Squaw Valley Big Mountain Team’s Matt Seline led a sweep of the top five places for the team. Sage Boyer was second, followed by Cody Flynn, Ryder Schwartz and Lucas Larson. Seline also captured the series title with wins in three of the four races. In the girls’ 15- 18-year-old division, Sugar Bowl Ski Team and Academy’s Francesca Wadsworth brought the squad another first place with a score of 64.234. Squaw Free’s Maren Guy was second, followed by Squaw Valley Big Mountain Team’s Sage Quinn. 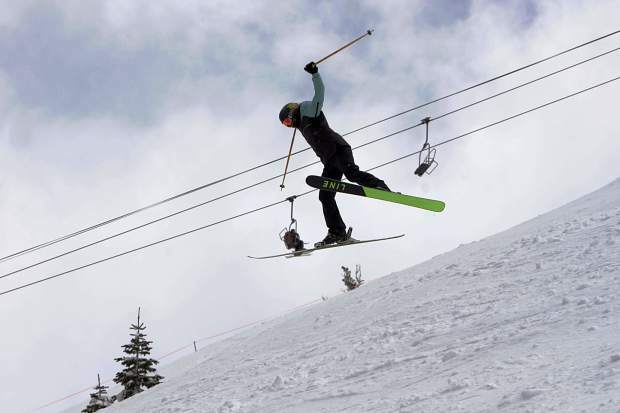 Squaw Free’s Britta Winans won three events at Squaw Valley to claim the overall title. Winans, 15, won the 12- 14-year-old girls’ division last season. She sat in second place after her first run at Sugar Bowl, but a crash in the second denied her a chance to sweep the top spot at each event this year. “It was a pretty big air in the middle of the venue and I just came into it with too much speed and I wasn’t prepared for the landing,” Winans said. Delila Quinn, of Squaw Valley Big Mountain, picked up the win in the girls’ 12- 14-year-old class. Sugar Bowl’s Hayden McJunkin was second, followed by Kirkwood Freeride’s Madison Ringham. Ringham captured the series title, edging Quinn by 35 points. The snowboarding portion of the competition took place on March 23, with the riders getting in both runs during the day. Squaw Alpine Snowboard Team member Nathan Bromley picked up the win in the 15-18-year-old division with 63.600 points. Teammates George Skaff and Jackson Skaff were next in second and third, respectively. Bromley also finished as the series champion with wins in two of the four events and second-place finishes in the other two. 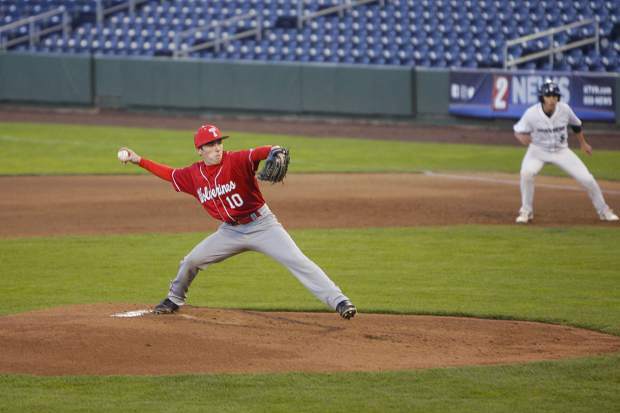 Bromley, 16, won the 12-14-year-old series title last year. In the 12-14-year-old division Squaw Alpine’s Soren Kraus took the championship, followed by teammates Tavo Sadeg and Kai Davi. Kraus took the series title, topping Sadeg.